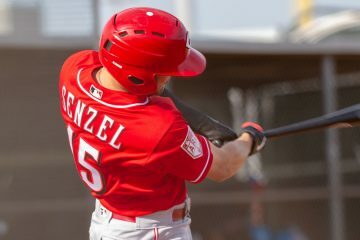 The minor league seasons are beginning to wrap up with three of the Reds Rookie level teams, (Greeneville Reds, AZL Reds, and DSL Reds) having already seen their seasons come to an end. The regular season ends for the remaining five teams next week. The AAA Louisville and A Dayton team’s season will end after their last regular season game next week. The A+ Daytona team will be participating in the post season playoffs thanks to being the 1st half division winners. They’ll begin a first round three game playoff series on 09/04. 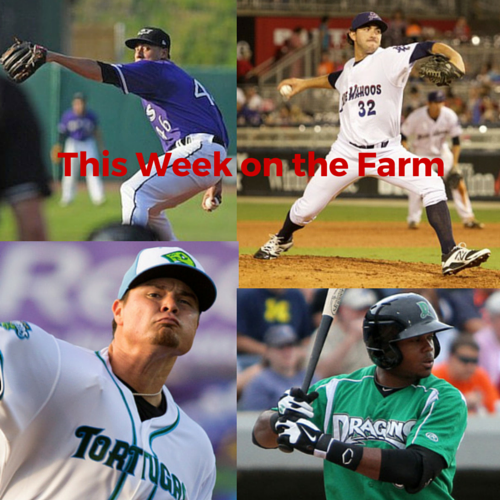 The Reds do have two farm teams still competing for post season spots. The AA Pensacola team, who has 5 G remaining, is in 2nd place just 0.5 GB Biloxi (who was the First Half division winner) in the 2nd half division standings. They have a 1 G lead over 3rd place Mississippi for the final playoff spot. The R Billings team, who has 8 G remaining, are in 1st place with a 2.5 game lead over 2nd place Missoula in the 2nd half division standings. Billings faces 2nd place Missoula tonight and tomorrow. The Bats have a 58 – 73 record and in 4th out of 4 in the International League West. Their final game is on 09/03. International League hitters are hitting .253/.322/.391/.714. OF Brian O’Grady, .314/.368/.587/.955 in 136 PA, has 7 HR with the Bats and 13 HR in the minors this year. The 26 year old LH batter hit .258/.354/.472/.826 in 214 PA at AA Pensacola before joining the Bats. RF Gabriel Guerrero, .291/.328/.476/.804, leads the team with 16 HR and 62 RBI. The 24 year old hit .296/.336/.469/.806 in 107 PA at Pensacola to begin the season. RH SP Lucas Sims, 3.81 ERA, has thrown 28.1 IP allowing 20 H and 5 BB with 32 SO since joining the Bats. The 24 year old put up a 2.84 ERA tossing 73 IP allowing 66 H and 34 BB with 83 SO with AAA Gwinnett before coming to the Reds. RH SP Matt Wisler, 1.83 ERA in 8 G/2 GS, has thrown 19.2 IP allowing 19 H and 3 BB with 21 SO since joining the Bats. The 25 year old put up a 4.37 ERA tossing 70 IP allowing 79 H and 14 BB with 65 SO with AAA Gwinnett before coming to the Reds. The Blue Wahoos have a 66 – 66 record and are 2nd out of 5 in the Southern League South. They have a 36 – 28 Second Half record and are in 2nd place just 0.5 GB Biloxi who was the First Half division winner. Their final game is on 09/03. Southern League hitters are hitting .248/.325/.384/.709. CF Jose Siri, .229/.302/.475/.776 in 265 PA, leads the club with 8 3B. The 22 year old was hitting .261/.280/.395/.675 in 126 PA at A+ before his promotion. RF Aristides Aquino, .247/.314/.449/.763, leads the team with 18 HR. The 24 year is 2nd on the club with 20 2B. Southern League pitchers have a 3.91 ERA. RH SP Tony Santillan, 3.49 ERA, has thrown 56.2 IP allowing 58 H and 15 BB with 57 SO for Pensacola. The 21 year old put up a 2.70 ERA in 86.2 IP allowing 81 H and 22 BB with 73 SO at A+ Daytona before joining the Blue Wahoos. LH RP Seth Varner, 3.49 ERA in 24 G/16 GS, has thrown 113.1 IP allowing 101 H and 28 BB with 95 SO. The 26 year has a 1.14 WHIP. The Tortugas have a 66 – 64 record and are 3rd out of 6 in the Florida State League North. They have qualified for the Playoffs by being the First Half Division winners with a 37 – 29 record. Their final game is on 09/02. Florida State League hitters are hitting .252/.323/.369/.692. 1B Ibandel Isabel, .262/.337/.580/.917, leads the team with 35 HR and 144 SO. The 23 year old also leads the club with 74 RBI. CF Taylor Trammell, .277/.374/.406/.780, leads the team with 24 SB. The 20 year LH hitter also leads the club with 109 H and 70 R.
LH SP Scott Moss, 3.31 ERA, has thrown 130.1 IP allowing 128 H and 39 BB with 110 SO. The 23 year old has 2.7 BB/9. RH RP Ryan Hendrix, 1.62 ERA, has thrown 50 IP allowing 36 H and 25 BB with 77 SO. The 23 year has a 13.9 SO/9 and has recorded 12 S.
The Dragons have a 56 – 77 record and are 7th out of 8 in the Midwest League Eastern. Their final game is on 09/03. Midwest League hitters are hitting .251/.325/.374/.699. C Hendrik Clementina, .263/.327/.505/.831, leads the club lead with 18 HR. The 21 year old also leads the team with 58 RBI. 3B/2B Alejo Lopez, .326/.383/.417/.800, leads the team with a .326 BA. The 22 year old switch hitter has played 45 G at 3B and 17 G at 2B for the Dragons this season. Midwest League pitchers have a 3.79 ERA. RH SP Austin Orewiler, 3.45 ERA in 29 G/11 GS, has tossed 117.1 IP allowing 119 H and 39 BB with 66 SO. The 25 year old has 3.0 BB/9. RH RP Ryan Nutof, 2.92 ERA, has thrown 71 IP allowing 75 H and 27 BB with 76 SO. The 22 year old has 9.6 SO/9. The Mustangs have a 34 – 33 record and are 2nd out of 4 in the Pioneer League North. They have a 19 – 10 Second Half record and are in 1st place with a 3.5 game lead over 2nd place Missoula. Their final game is on 09/06. The Pioneer League hitters hit .279/.350/.433/.783. CF Mariel Bautista, .322/.374/.541/.915, leads the club with 4 3B. The 20 year old leads the team with 12 SB. OF Drew Mount, .315/.370/.507/.877, is tied for the team lead with 8 HR. The 22 year old LH hitter also leads the club with 17 2B and 54 RBI. The Pioneer League average ERA is 5.14. RH SP James Marinan, 2.91 ERA, has thrown 34 IP allowing 35 H and 17 BB with 27 SO. The 19 year old had a 3.38 ERA in 10.2 IP allowing 11 H and 4 BB with 11 SO with the R AZL Dodgers before coming to the Reds. RH RP Ryan Dunne, 3.05 ERA, has thrown 20.2 IP allowing 14 H and 7 BB with 23 SO. The 23 year old has 5 S.
The Appalachian League hitters hit .262/.350/.397/.747. 1B Rylan Thomas, .251/.395/.491/.887, leads the club lead with 10 HR. The 21 year old also leads the team with 40 BB. 2B/3B Jonathan Willems, .263/.300/.470/.770, leads the team with 13 2B. The 19 year old leads the club with 4 3B and 39 RBI. The Appalachian League average ERA is 4.81. RH SP Josiah Gray, 2.58 ERA, has thrown 52.1 IP allowing 29 H and 17 BB with 59 SO. The 20 year old has a 0.88 WHIP. RH SP Alexis Diaz, 3.02 ERA, has thrown 53.2 IP allowing 51 H and 18 BB with 67 SO. The 21 year old has a 11.2 SO/9. The Reds finish the season with a 13 – 42 record and 6th out of 6 in the AZL Central. The AZL hitters averaged .248/.334/.354/.688. RF Fidel Castro, .315/.413/.519/.931 in 63 PA, leads the team with a .413 OBP. The 19 year old LH hitter was hitting .262/.404/.516/.920 in 151 PA with the R DSL Reds before joining the R AZL Reds. CF Danny Lantigua, .223/.274/.467/.741, leads the club with 8 HR. The 19 year old LH hitter leads the team with 6 3B. The AZL average ERA is 4.11. RH RP Marvin Mateo, 1.96 ERA, has thrown 18.1 IP allowing 13 H and 7 BB with 14 SO. The 20 year old has a 1.09 WHIP and 2 S.
RH RP Juan Manuel Abril, 3.94 ERA, has thrown 29.2 IP allowing 23 H and 11 BB with 41 SO. The 20 year old has 12.4 S0/9. The Reds finish the season with a 34 – 38 record and 5th out of 6 in the Dominican Summer League Baseball City. The DSL hitters averaged .238/.337/.332/.669. CF Allan Cerda, .272/.402/.439/.841, is tied for the team lead with 6 HR. The 18 year old leads the team with 34 RBI. OF Darlin Guzman .251/.326/.450/.777, leads the team with 7 3B. The 17 year old LH hitter also 2nd on the club with 4 HR. The DSL average ERA is 3.79. LH RP Jose Salvador, 1.18 ERA, has thrown 53.1 IP allowing 28 H and 20 BB with 72 SO. The 18 year old has a 0.90 WHIP. RH SP Raul Hernandez, 2.29 ERA, has thrown 51 IP allowing 36 H and 22 BB with 77 SO. The 19 year old has 13.6 SO/9. 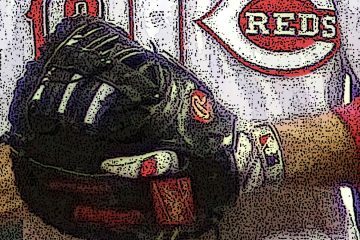 [Recap] Reds lose a beer league softball game to the Brewers, 13-12.